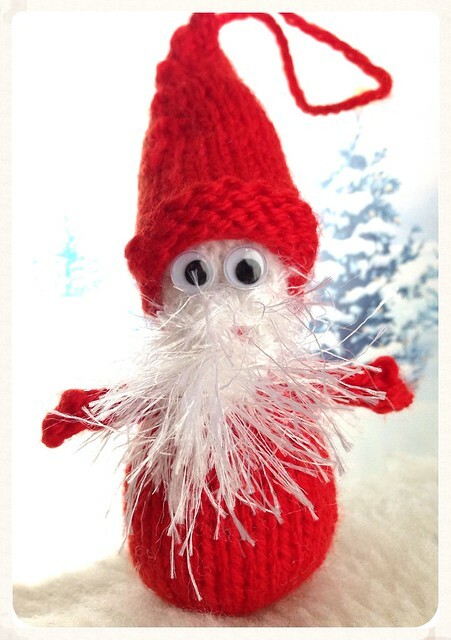 If you missed Wednesday's post, my Googly Santa Decoration pattern is now listed on Ravelry. 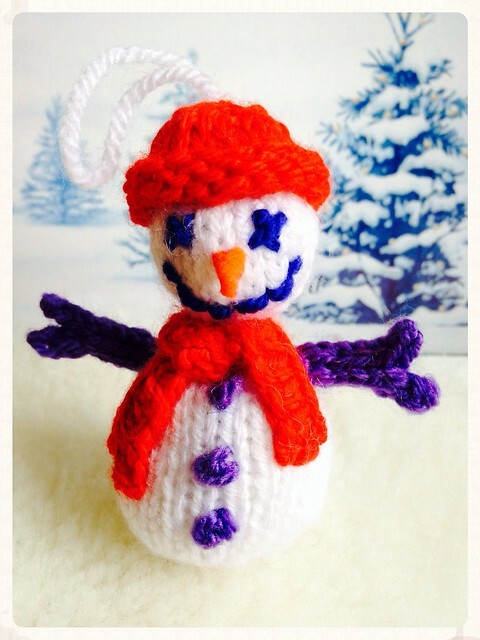 You can download the pattern from Black Sheep Wools free pattern page where you'll also find my little Snowman and other cute decorations from bloggers you may recognise. You can also read more about my Christmas plans and memories on the BSW Blog today. It's FO Friday, so I should also mention the Double Basketweave Cowl which was finished in no time, and has been great for dog walking in the cold weather. As I pointed out last week, it was made from "desperation" yarn - cheap acrylic from a charity shop, as there was nothing else to buy - but I really like it. This is a free pattern which knits up quickly and would be good for a beginner - especially with some lovely smooshy yarn. This weekend I'll be schnuggling with the Schnauzer and contemplating a couple of new designs and of course we will be heading out to see Catching Fire. What are you up to? Love your Cozy Cowl :) and your christmas ornaments so cute :) I am knitting a cowl too, but it is soooo slow, I knit too slow, and then crocheting is more fun for me, so I tend to make like snowflakes ;) and ditch my cowl, but since it is getting colder, I really must finish it. Great Santa!!!! I may just have to download. Skipping out on Catching Fire but do hope to watch the Day of the Doctor (the Doctor Who Anniversary special) this weekend. Love the Santa... so much personality in such a little figure. Love, love the basketweave. It's one of my favorite stitch patterns. I need to check out your dimensions on your project page. Your googly santa slighty reminds me of this old Christmas ornament we have. I think we have it. When we put our tree up, I'll hope to remember to take a pic of it for you on Instagram. Oh and we're cleaning this weekend and I want to take some photos of each ohana member for our Christmas card. Thanks for the cowl patter link. Yours came out beautuful. I'd like to make a twist in mine. Well see how that works out. Love the decorations, they are adorable! 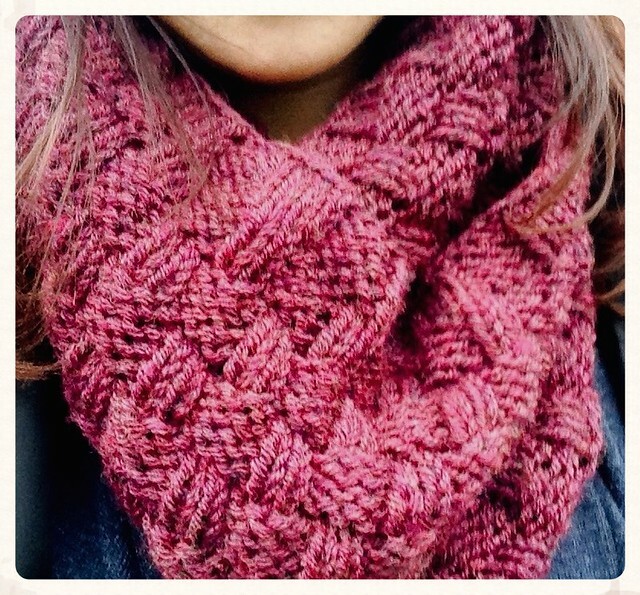 And the cowl looks fab too. Santa is now in my library..thanks! The cowl is pretty...some acrylic I think is okay...it is getting better...I am also making a basketweave type cowl....love the yarn in the previous post! I love that cowl and the ornaments are adorable!